Mattel has taken a hit following the collapse of Toys ‘R’ Us, leading to $650 million turnaround exercise announced last year. Mattel is cutting 2,200 jobs – around 22 per cent of its workforce – after posting a 14 per cent plunge in its second quarter sales revenue. The toymaker has taken a drastic hit following the collapse of Toys R Us that will now see the firm axe 22 per cent of its non-manufacturing jobs and sell its manufacturing sites in Mexico. Mattel’s second quarter sales hit $841 million, trailing expectations. Its gross margin took a hit, falling to 30.4 per cent from 41 per cent a year previous. The job cuts – which began this week and will total more than 2,200 – are part of a $650 million cost cutting plan announced last year. The reductions are focused on back-office and support positions, according to CEO Ynon Kreiz, who replaced Margo Georgiadis in April. 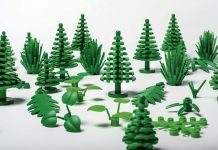 “While the industry is evolving, the toy market continues to grow, and we should be able to reverse our own trends given our strong standing and the quality of our assets,” said Kreiz. Conversely, Mattel’s Barbie and Hot Wheels brands saw continued growth with the doll line increasing 12 per cent and Hot Wheels advancing 21 per cent. “We saw continued strong performance by Barbie and Hot Wheels, and we made substantial progress on our Structural Simplification programme to restore profitability and improve productivity in the near-term,” said Kriez. We hope that those losing their jobs are able to find employment quickly. 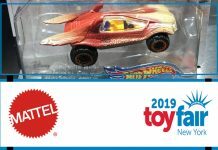 Some good news for the Hot Wheels brand, as it saw continued growth which is positive news for Star Wars fans of the line.